Let us tell you a story… In 1919, a talented young bike racer from Flanders named Henri “Ritte” Van Lerberghe showed up bikeless to the starting line of the Tour of Flanders. The First World War had just ended, and Ritte traveled to the race straight from the frontline. He borrowed a bike from a local, and in the typical Ritte style, attacked the pack almost immediately. Ritte built up such a sizable lead by the finishing town that instead of heading to the velodrome for the victory lap, he decided to veer off course and stop at a pub for pint. One beer turned into three or four, and despite the fact that he now felt more like hanging out with the locals than winning the biggest race of the year, Ritte was coaxed back on his borrowed bike and wobbled across the street to complete the finishing laps on the velodrome winning Belgium’s greatest race and having fun doing it. Ritte Racing was started in 2008 with the goal of creating beautiful, well-made bikes for people who appreciate having something unique. Designed in Los Angeles and constructed in cooperation with one of the most exacting composites facilities in Asia each frame takes dozens of man-hours: from the layup process, to several stages of hand-finishing and finally many days of painting. A Ritte isn’t for everyone, but we think that’s a good thing. 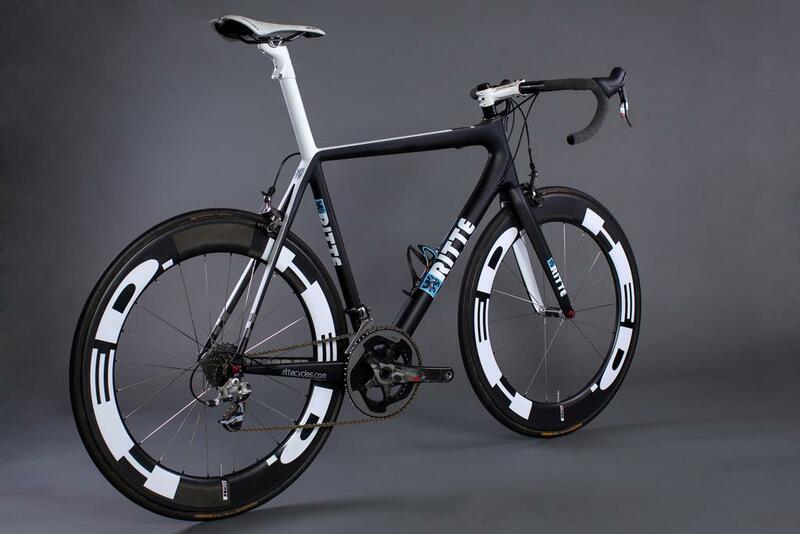 So if you’d like a bike that rides beautifully, looks stunning & stands out from the crowd, then maybe a Ritte is for you. it’s hard enough to require 100% commitment, yet silly enough to encourage racing in a costume. Cross bike design is also a bit strange and wonderful, and every manufacturer takes a different approach to design. Some bikes are better in mud, others better in the grass. Some are nimble and balanced, others sacrifice stability for pedal clearance. Ultimately, every cross bike has its own personality and choosing one can be a pretty personal thing. For several years now, we’ve been working on refining a geometry for the broadest spectrum of riders. We wanted to design a frame is balanced and agile without being extreme in any direction. The Crossberg is a relatively short frame, with 425mm chainstays and a tighter than average front-center. The bottom bracket is low enough to feel balanced but high enough for pedal clearance in most scenarios. We’ve enlisted the help of professional cross racers of various heights for insight into the best combination of balance and agility through the whole size range. We also wanted the Crossberg to be a sturdy, knock-down, drag-out race machine that can handle the extreme beating cross racing and trail riding can dish out on a bike. We chose 7005 series aluminum for excellent stiffness to weight, damage resistance and overall value. The Crossberg uses a tapered, 1-1/8″ to 1-1/2″ head tube for less deflection under heavy braking, PressFit30 bottom bracket shell for adaptability to multiple crank systems and disc brakes for all-weather modulation and stopping power. Frame: 7005 Series Aluminum, disc only, 135mm rear axle spacing. Routing: External. For mechanical shifting and mechanical or hydraulic disc brakes. 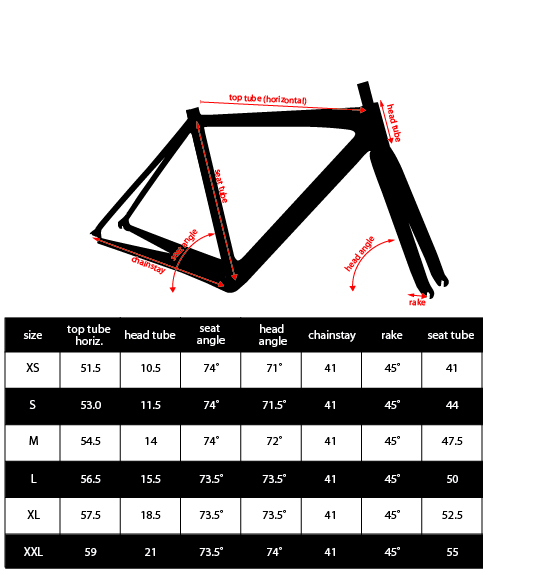 Ritte’s first production track frame, constructed from alloy the frameset comes with a tapered carbon fork. The geometry is steep and fast – think Red Hook Crit! Previously only a vailable asafull custom build with an unfathomable price tag, Ritte have now – thankfully – put the Snob into (batch) production. A wonderful dichotomy of old & new school with the ride & soul of a master-made steel frame yet featuring modern compact geometry, oversize tubes & a tapered headtube. Ritte have drunk their special tonics & sprinkled their porridge with moondust to create a KVA stainless steel tubed machine that marries these two worlds beautifully and produce an instant classic. We know that saying it’s fast is cliche, but it is… It’s a rocket from Hades! Criterium stiff and yet paradoxically comfortable to ride. Constructed from the highest quality, high-modulus Japanese pre-preg carbon. Featuring a BB30 bottom bracket and massive chainstays for power transfer, a tapered steer tube for precise handling and an integrated seat mast to convey all those lovely road sensations straight to the rider. The geometry was developed to be a good all-around competition rig: as comfortable on day-long rides is it is confident in hectic criteriums. Take it down a high-speed descent and you’ll really see where the Vlaanderen is a true stand-out; its slightly longer wheelbase give it confidence-inspiring stability while its rigid front and rear end give you the power to carve the corners. The original Ritte… a no nonsense race bike that’s as comfortable in elite racing as it is on a coffee ride. The Bosberg has undergone a bit of transformation since the previous version, and now uses a standard seat post for more adjustability, and thinner seatstays and fork to take the edge off those harsh roads. 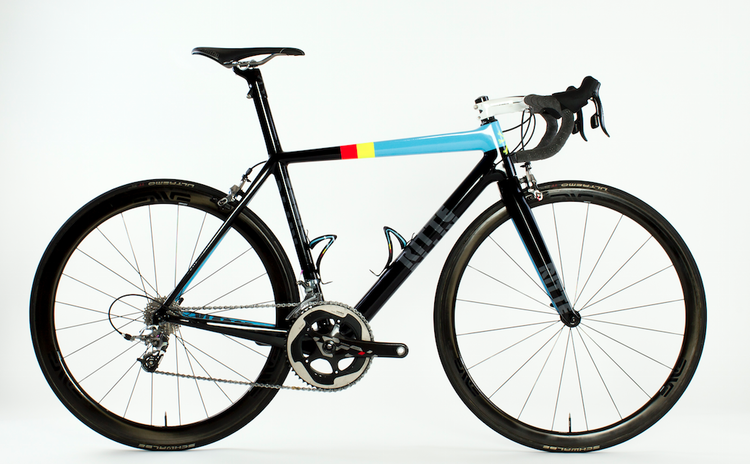 It may not be quite as beefy as its big brother Vlaanderen, but it’s definitely a performer. Made from the highest grade Japanese carbon, its quality rivals framesets selling for thousands more.